A new poll released Wednesday finds that 56% of Israelis are against a pre-emptive strike on Iran's nuclear facilities. A new poll released Wednesday finds that most Israelis are against a military strike on Iran’s nuclear facilities. The poll, which was conducted by Panel Project and reported on Channel 10 News, asked Israelis about their feelings regarding an attack in Iran, the performance of the prime minister and who is best suited to serve as prime minister of Israel. 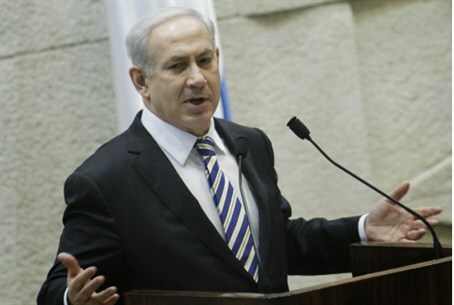 The poll found that the majority of Israelis, 56 percent, are opposed to an Israeli attack against Iran. Only 23 percent support such an attack, while 21 percent said they had no opinion. Respondents were also asked whether they were satisfied with Prime Minister Binyamin Netanyahu’s performance. 48 percent of respondents said they were satisfied with Netanyahu’s performance, an increase of three percent since last December. Another question participants were asked was who they believe is better suited to serve as prime minister of Israel. Here, too, Netanyahu leads with 36 percent. Labor leader Shelley Yechimovich received 12 percent of the vote, and journalist turned politician Yair Lapid and Foreign Minister Avigdor Lieberman each received nine percent. Kadima MKs Tzipi Livni and Shaul Mofaz, who will compete against one another for the leadership of the party next Tuesday, also received nine percent. 26 percent of respondents said they do not support any specific candidate.